Home Disney Top Disney Meals Under $20!! We can all use tips on how to save a little money now and then. And that’s never more true than when you’re planning a Disney vacation! It may seem like the impossible task: finding a bargain in Walt Disney World. And that’s seems especially true when it comes to food. 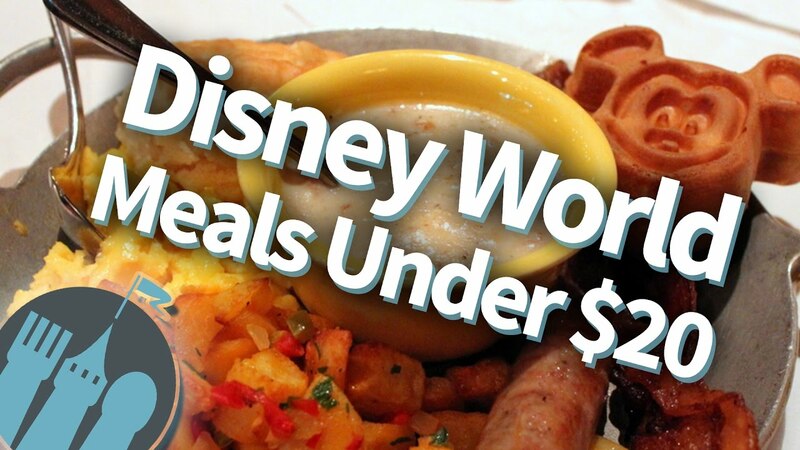 But believe it or not, there are some truly fantastic meals at Disney Restaurants for less than $20 dollars! You guys asked for it, so we wanted to take some time to post our top meals under $20 around Walt Disney World! This is a list of some of our favorite, most affordable gems where you can get a fun, filling meal at a low price.